Author Sherry Gammon : Win A Change of Plans in audio! 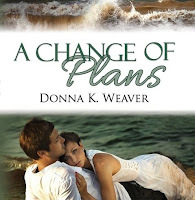 Donna K. Weaver is so excited about the release of the audio book of her adventure romance A Change of Plans that she and her publisher, Rhemalda, are hosting a giveaway. And there can be two winners!